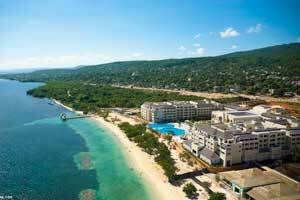 Iberostar Rose Hall Beach Hotel is an elegant, all-inclusive hotel, located on a beautiful stretch of white-sand beach in Montego Bay. 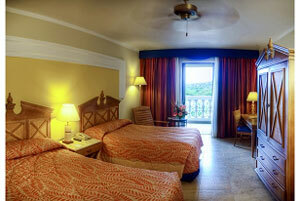 A perfect blend of all-inclusive amenities, comfort and luxury becomes the setting for a truly unforgettable vacation. 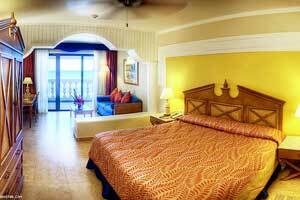 Prepare to be pampered the Iberostar way with spacious guest rooms, a plethora of activities, 24-hour service, drinks and exquisite international, à la carte dining. A complimentary kids club and wide array of entertainment options make this an ideal destination for a family vacation. The elegant colonial style Iberostar Rose Hall Beach is situated on a beautiful stretch of white sandy beach in Montego Bay, just 20 minutes away from the airport. Iberostar knows how to pamper their guests, offering them the perfect blend of all-inclusive amenities, comfort and luxury that make for an unforgettable vacation, with spacious guest rooms, attentive personnel plus every imaginable activity along with all-inclusive 24-hour service, drinks and exquisite international à la carte dining. A complimentary kids club and wide array of entertainment options make this an ideal destination for a family vacation. Just relax and become one with the Caribbean. Guests staying 3-5 nights will receive $300 in resorts credits! Guests staying 6+ nights will receive $500 in resort credits! Resort Discount Credits are eligible for use on a room upgrade, spa treatments, wine, a romantic dinner and more when you travel through December 21, 2019! Quick, book now through February 28, 2019 to take full advantage of this great deal! *Receive up to $500 in resort credits depending length of stay at a specific resort. Resort credits may not be redeemed for cash. Resort credits are non-transferrable and must be used during the length of stay. Offer is based on double occupancy. Valid only for new bookings. Blackout dates, additional restrictions or exclusions may apply. Offers are based on availability. Offer is not available for group bookings. Subject to change without notice. This promotion is combinable with other promotions. Honeymooners receive one bottle of domestic wine, fruit basket and two 'Just Married' T- shirts. 'Honeymooners' must be noted in record at time of booking and proof of wedding date may be required at check-in. Student Groups are ON REQUEST for any hotel. Any student/youth group must be pre-approved and will be reviewed on a case-by-case basis. One parent or chaperone at least 25 years of age will be required per room for check-in. Adults accompanying are responsible for students' behavior. In the event that any members from the group engage in inappropriate behavior disrespecting Hotel staff and/or other guests or cause physical damages to the facilities, the hotel management reserves the right to expel the entire group without reimbursement or refund of the remaining nights. FIT bookings and Groups upon check-in will be required to leave a refundable cash deposit of USD $200 per room for any damages, unpaid expenses, losses or fines that the clients incur or become responsible during their stay at the hotel. If nothing happens during the group's stay, this deposit will be refunded to the Agency after departure. Alcoholic drinks will be offered to the students older than 18 years old.